On the 22nd (Sat), explore the historical opulence of Aci Castello, pause for some serene contemplation at Diocesi Di Acireale, then steep yourself in history at Villa Comunale, and finally don't miss a visit to Piazza IX Aprile. Get ready for a full day of sightseeing on the next day: take an in-depth tour of Monastero dei Benedettini, contemplate in the serene atmosphere at Duomo di Catania, then get engrossed in the history at Museo Storico dello Sbarco in Sicilia 1943, and finally explore the ancient world of Greek Theatre. For more things to do, maps, and other tourist information, read our Catania trip planner. Iasi, Romania to Catania is an approximately 6-hour flight. Due to the time zone difference, you'll gain 1 hour traveling from Iasi to Catania. Traveling from Iasi in April, Catania is a bit warmer at night with lows of 10°C. Finish up your sightseeing early on the 23rd (Sun) so you can go by car to Palermo. Start off your visit on the 24th (Mon): take a stroll through La Kalsa, head off the coast to Ustica, and then take in the spiritual surroundings of Chiesa del Gesù. To find maps, reviews, photos, and tourist information, you can read our Palermo trip builder. Traveling by car from Catania to Palermo takes 2.5 hours. Alternatively, you can take a bus; or take a train. 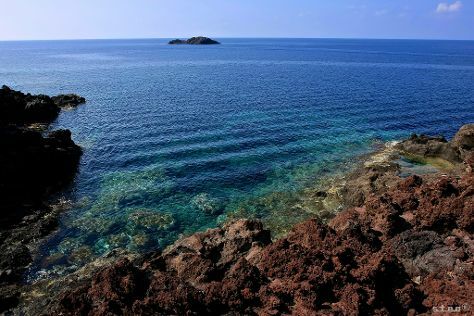 Traveling from Catania in April, expect somewhat warmer with lows of 15°C in Palermo. Finish your sightseeing early on the 24th (Mon) to allow enough time to travel to Naples. Naples is the capital of the Italian region Campania and the third-largest municipality in Italy after Rome and Milan. 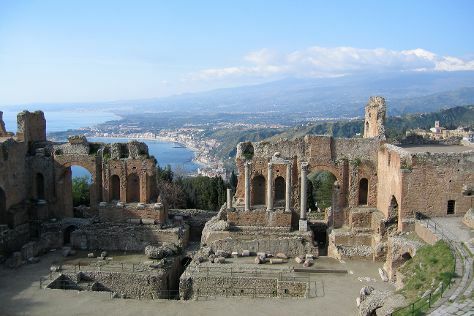 Kick off your visit on the 25th (Tue): take a stroll through Spaccanapoli, then explore the ancient world of Ruins of Herculaneum, and then steep yourself in history at Gli Scavi Archeologici di Pompei. To see maps, more things to do, where to stay, and tourist information, read Naples vacation builder. Traveling by combination of train and flight from Palermo to Naples takes 3.5 hours. Alternatively, you can ride a ferry; or take a train. In April, daily temperatures in Naples can reach 22°C, while at night they dip to 13°C. Wrap up your sightseeing on the 25th (Tue) early enough to take a train to Rome. Explore hidden gems such as Trastevere and Rome Historical Center. Museum-lovers will get to explore Vatican Museums and St. Peter's Basilica. Go for a jaunt from Rome to Maccarese to see Acqua e Sale - Stabilimento Balneare about 46 minutes away. There's lots more to do: explore the ancient world of Palatine Hill, admire the landmark architecture of Pantheon, take in the spiritual surroundings of Arcibasilica di San Giovanni in Laterano, and take an in-depth tour of Capitoline Museums. For traveler tips, maps, ratings, and tourist information, you can read our Rome itinerary maker. Traveling by train from Naples to Rome takes 1.5 hours. Alternatively, you can drive; or fly. Expect a daytime high around 23°C in April, and nighttime lows around 11°C. Finish up your sightseeing early on the 30th (Sun) so you can travel back home.